The 10 Best RV Trips To Take In South Dakota - Must See! The Midwest may seem like mostly flyover states to some, but in truth, holds a great deal of history and natural wonders. South Dakota, in particular, is a state worth exploring. It may be one of the least-populated states in the country, but that only adds to its charm. Traveling South Dakota isn’t supposed to be a tour of the nation’s coolest cities or best nightlife; it’s meant to be a peaceful experience, where vast open plains or craggy hills beckon you out of your car and into the wild. South Dakota’s landscape is the ideal opportunity for a road trip. Straight roads stretch out past the horizon, offering a relaxing drive and the perfect background for your road trip soundtrack. 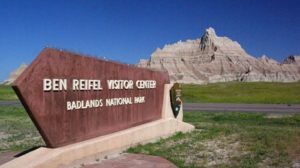 Weary travelers can rest their heads in some of the state’s most picturesque wildernesses, like Badlands National Park. Furthermore, South Dakota is also a home base for many full-time and part-time RVers, so RV rentals in South Dakota are never hard to find. It may come as a surprise, but South Dakota’s history is just as enchanting. South Dakota’s earliest inhabitants carved ancient petroglyphs into rocks and made earthen mounds to hold their dead; The discovery of gold in the Black Hills led to brutal and infamous Native American battles; Spent mines and the Dust Bowl of the 1930’s resulted in dozens of ghost towns across the state – South Dakota was built on pure grit and survival, as many of its cherished landmarks still reflect today. 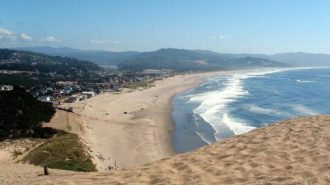 In this article, we’ve put together a list of some of the state’s most notable stops. Badlands National Park is arguably South Dakota’s most famous tourist attraction. It’s an enormous park that covers nearly 250,000 acres in the southwestern portion of the state. Here, jagged pastel peaks rise from the foreground of the nation’s largest undisturbed grasslands, creating a strange juxtaposition that closely resembles the history of South Dakota itself. The area was once home to dangerous prehistoric beasts like saber-toothed cats and rhino, and fossils can still be found throughout the park. Today, the wildlife is of a less threatening variety; bison, bighorn sheep, and prairie dogs are some of the park’s most popular residents. From hiking the rugged rock formations to visiting the active Fossil Lab, there’s much to explore in the Badlands. Price: $20 vehicle entry fee, good for 7 days. There are two campgrounds within the park: Cedar Pass and Sage Creek. If you want hookups, head to Cedar Pass, where you’ll find a visitor center, electrical hookups, running water, and a dump station. If you want to rough it, Sage Creek offers primitive camping in the heart of the park’s grasslands. Okaton is likely one of the most picturesque ghost towns you’ll find anywhere. Situated in the middle of South Dakota’s prairie lands, the town was once filled with railroad workers and farmers. After that tract of railroad was finished, many of the town’s residents moved on. The railroad closed down in the 1980’s and was soon taken over by the land. Okaton is something like a double ghost town. A brief, yet failed, attempt to capitalize on the town’s abandonment is evident in a few worn signs and the remnants of a general store. Today, less than 40 people live in the area. Dilapidated homes, a crumbling grain elevator, and an abandoned schoolhouse all sit in close proximity to the overgrown railroad. 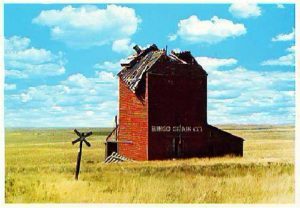 Perhaps what makes this ghost town so eerie, though, is the contrast of the ruined buildings against the picture-perfect backdrop of the prairie. Don’t forget your camera. Website: No official website, but you can find some history and excellent photographs here. The Belvidere East KOA is just up I-90 from Okaton. For being in the middle of the prairie, they sure have a lot of great amenities. They include a heated pool, bike rentals, a game room, and a playground. 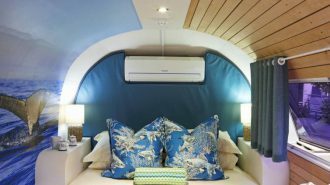 Sites come with full hookups, and cable and Wi-Fi are available. Rates range from $35 to $45 per night. While you’re in the area, you have to visit Wall Drug Store – it’s pretty much a road trip requirement. Wall Drug is a famous tourist attraction that started as a mom-and-pop drug store struggling in the throes of the depression era. A sign for free ice water changed all of that. For years, owner Ted Husted continued to create quirky signs for his store, and tourists continued to flood in. The store quickly evolved into a full-fledged tourist mall, with a variety of shops, sculptures, amusements, and activities spaced out over several connecting buildings. 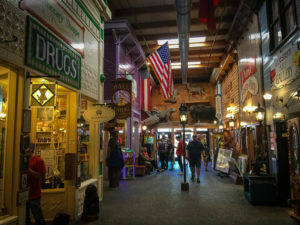 Today, Wall Drug is famous around the world, and people from all over come to pick up a souvenir and enjoy a delicious country meal at the restaurant. And yes, you can still get a refreshing cup of free ice water out back. Sleepy Hollow Campground is seconds away from Wall Drug. 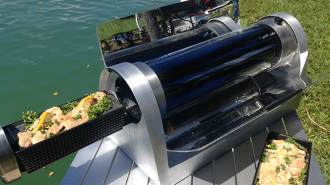 They offer a variety of sites for RV and tent camping. Amenities include a heated pool, outdoor sports courts, a playground, and a dog park. 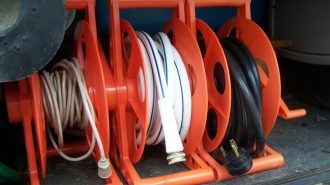 Rates start at $39 for full hookups with cable TV. 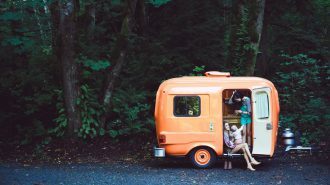 There are a handful of other campgrounds in the area, so if Sleepy Hollow is full, check out this list of RV parking in South Dakota to find other options. 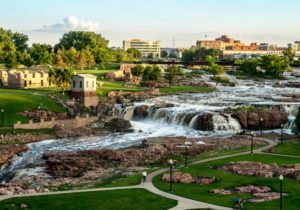 Sioux Falls is about as populated as it gets in South Dakota. It’s the state’s biggest city, though it’s population count is still humble at just under 175,000. While there’s plenty to do in the city, including the Great Plains Zoo, a waterpark, and a cluster of museums and galleries, Falls Park is what we’ve really come here to see. It’s a beautiful public park encompassing a series of cascading waterfalls on the Sioux River. Guests can visit the Overlook Café and grab a bite to eat while watching the roaring rapids below. Meandering walkways and bridges connect the different areas of the park and offer unbeatable photo opportunities. There’s an observation tower and a gift shop in the park as well, so make sure you stop by before you leave. 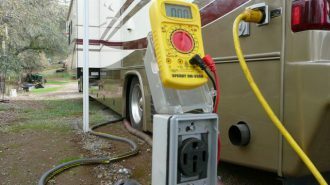 There are a handful of campgrounds throughout the city, including the nearby Sioux Falls KOA. This KOA is about five minutes from downtown Sioux Falls, and 10 minutes from Falls Park. 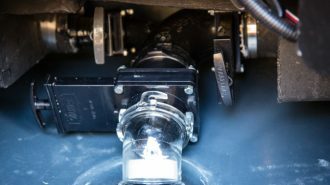 They have enough space to accommodate even the largest of RV’s at their full hookup sites. Amenities include a swimming pool, outdoor sports like basketball and mini-golf, bike rentals, and more. Rates vary from $33 to $63 per night. Crazy Horse is a wonder of the world in progress. The site honors the fallen Oglala Lakota warrior of the same name. It’s a serious undertaking, to be sure; if the sculpture is completed, it will be the largest in the world. 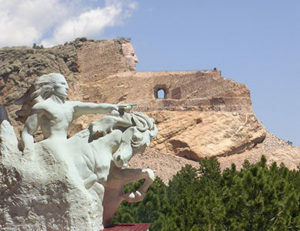 Crazy Horse’s head alone will be almost 90 feet high, about 30 feet taller than the Mount Rushmore heads. But to truly understand the history and scope of the work, you need to watch the movie put on by the museum. Speaking of museums, there are several of them at the monument. Visitors can learn about Native American history and culture, the man behind the Crazy Horse monument, and, of course, the project itself. Exhibits include an authentic teepee and clothing, animal skins, sculptures, Native American jewelry, and much more. If you get hungry, stop by the Laughing Water Restaurant and get the Indian Taco while you enjoy a full view of the monument – you won’t regret it. Price: $24 per car with two people; $30 per car with more than 2. 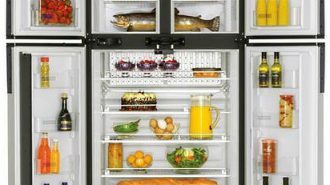 Horse Thief Campground and Resort is a top-rated park in the area. 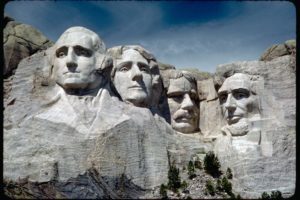 They’re convenient to all the attractions of the Black Hills, including Crazy Horse and Mount Rushmore. Amenities include a heated pool, convenience store, bathhouses, and outdoor sports, all spread across 40 picturesque acres in the heart of the hills. Rates start at $48 per night for full hookups during the regular season. The Black Hills of South Dakota are prime real estate for gigantic mountain sculptures, it seems. Mount Rushmore is just 17 miles from the Crazy Horse Memorial, so be sure to add it to your itinerary. As you probably know, it depicts the faces of Washington, Jefferson, Roosevelt, and Lincoln. What you probably didn’t know is that the guy who came up with the idea, Doane Robinson, originally wanted it to depict the faces of Wild West heroes like Lewis and Clark. Learn about this and more at the on-site museum and theatre. You can also learn about the mysterious Hall of Records here, a 70-foot-long cavern hidden behind the heads that serves as a time capsule for future archeologists (or aliens). Price: Free entry; $10 parking. The Mount Rushmore KOA is located in the gulch just across from the monument. Their amenities include a heated pool, spas, a waterslide and splash pad, rodeos and other themed events, a climbing wall, and more. At night, you can take the shuttle to see the lighting ceremony at Mount Rushmore. Rates range from $80 to $130 per night. Check out our list of top RV parks in South Dakota for more high-end campgrounds in the area. One of the first national parks in the United States, Wind Cave is still as mysterious as ever. For starters, it’s one of the longest caves on the planet, with roughly 140 miles of explored caverns and passages. It’s also a bit of a labyrinth – it’s the densest cave on earth with miles of passages crammed into a three-dimensional network. 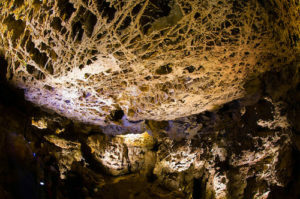 But what makes Wind Cave truly astounding is its rare boxwork formations, found in very few places elsewhere on earth. A day spent exploring the cave is sure to inspire a sense of wonder and discovery. Price: Free entry. Guided tours range from $10 to $30. Custer State Park is adjacent to Wind Caves and sits just north of the park. There are plenty of camping opportunities across the park’s 13 campgrounds. Campground amenities include hot showers and toilets, electric hookups, and some have camp stores and restaurants as well. 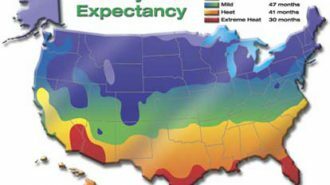 Rates vary; visit the site for details. 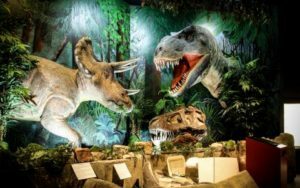 Located in Rapid City, The Journey Museum takes visitors on a one-of-a-kind, well…journey. It’s a walk through the region’s history, including Native American creation stories, geological history, dinosaurs, and much more. There are roughly 7 acres of gardens on the grounds, in addition to a variety of interactive exhibits and activities inside. During your visit, you’ll not only learn about the history and culture of the Black Hills, you’ll also learn about the history of humanity and the planet itself. Price: $10 for adults, $8 for seniors, $7 for students ages 6-17, free for kids 5 and under. Rapid City RV Park & Campground is located right inside city limits, offering convenience to many local attractions, shopping, and dining. 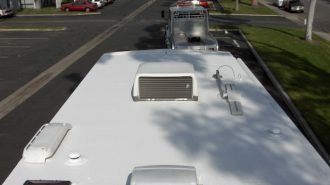 They can accommodate even the biggest RVs in their large pull-through sites with full hookups. Amenities include a heated pool, a camp store, a dog park, a playground, and meticulously maintained grounds and facilities. Rates are unlisted. 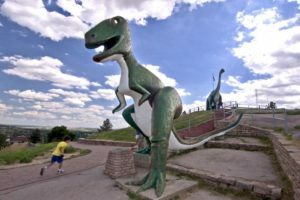 If you still haven’t had your fill of dinosaurs, check out Dinosaur Park, also in Rapid City. This Depression-era park provides a look back into the Jurassic period – and a look back into how we studied dinosaurs in years past. It’s a strange experience to witness outdated versions of these creatures, especially as our knowledge of them in modern days seems to change almost monthly. But perhaps the best part about this park (and the part that your kids are sure to love) is that you can climb on the giant dino sculptures. Thankfully, you have plenty of options for camping in Rapid City. The Rapid City KOA is located nearby and offers an array of activities during peak season, including all you can eat pancake breakfasts, s’mores parties, and watermelon feasts. Amenities include full hookups, a pool and hot tub, and a dog park. 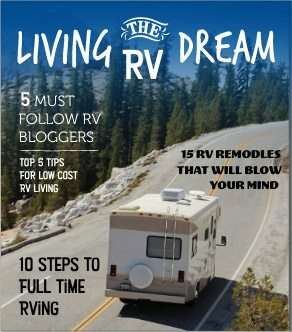 If you’re in a pinch for a place to stay, you can always check with local RV dealers in South Dakota to see if they offer overnight parking. Deadwood is THE place to learn about the biggest legends in the Wild West. After all, it was once home to the infamous Calamity Jane, among a handful of other well-known western figures. 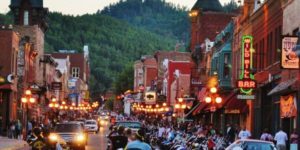 Deadwood has a wealth of museums, attractions, shopping and dining, casinos, and most of all, history. In fact, the city has so much history, it was named a National Historic Landmark in 1961. Notable activities include the vintage steam train ride, a 19th-century dinner theatre, gold mines, and much more. Make sure to pencil in a day or two here as there’s so much to see. It’s always nice to know there’s a KOA nearby. 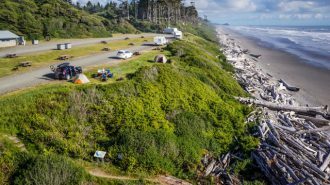 KOA’s offer plenty of amenities and consistently pleasant experiences. The Deadwood KOA is no different. Amenities include a pool and hot tub, WiFi and cable, a dog park, and a shuttle to downtown Deadwood. Rates are unlisted. Don’t Rush Your Plans in The Mount Rushmore State! South Dakota is worthy of slow and deliberate exploration. It’s a vast state with impressive natural wonders, deep historical roots, and unique cultural landmarks. Whether you want to explore South Dakota’s seemingly endless wilderness, or you want to learn about its tumultuous past, there are plenty of ways to sate your curiosity. No matter where you decide to go, make sure you take your time and experience South Dakota the best way possible – in an RV!